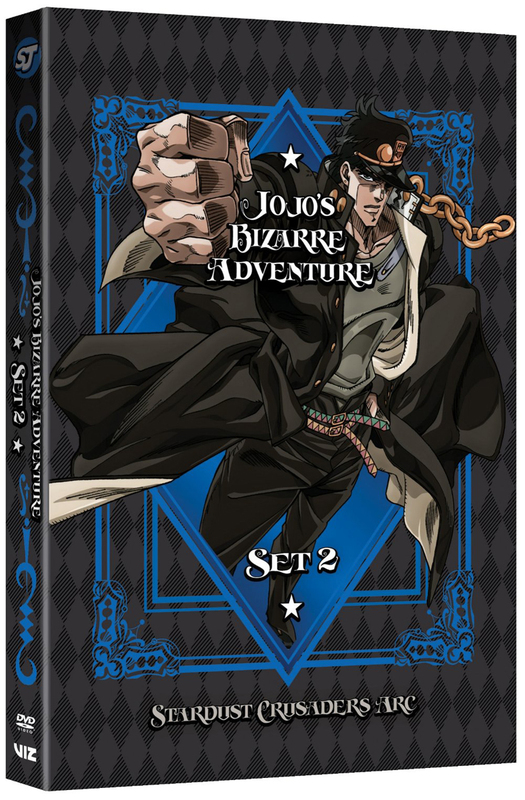 Jojo's Bizarre Adventure Set 2 DVD contains episodes 1-24 of the Stardust Crusaders Arc. 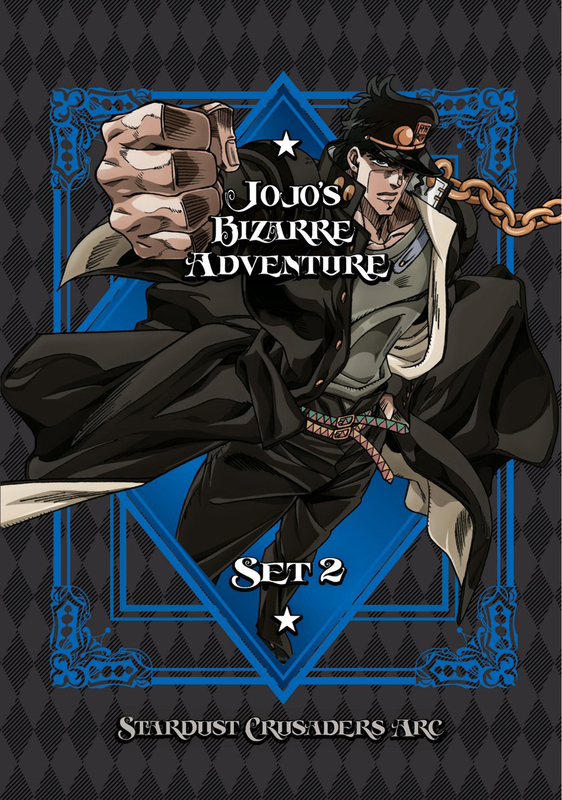 To save Holly, Jotaro and Joseph form an alliance with dangerous men all dedicated to destroying the evil Dio Brando. 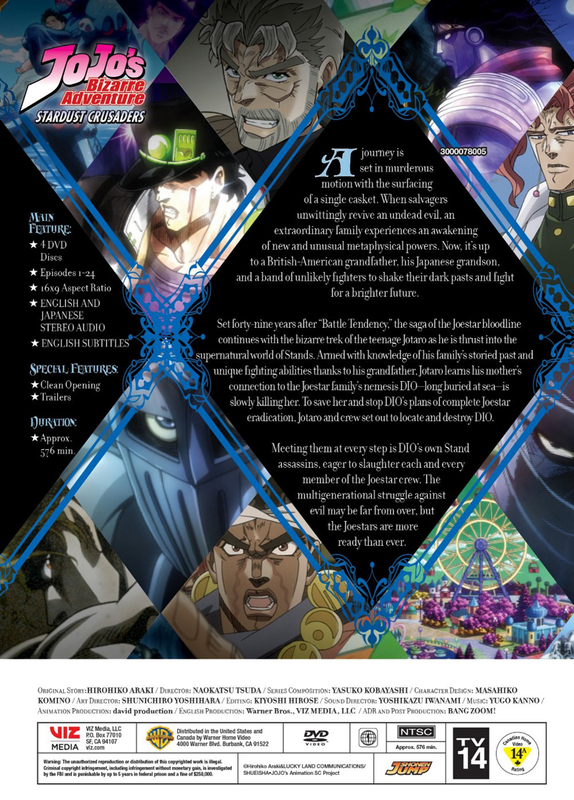 Their quest will take them across continents and into conflict with Dio’s own allies, the world’s most vicious assassins and murderers.